The Hurley Memory Pocket 1500 is the new version of the Pocket Memory Classic and still offers the same medium to firm feel with 1500 pocket springs in a 150cm wide king size mattress and a layer of high quality memory foam on top. 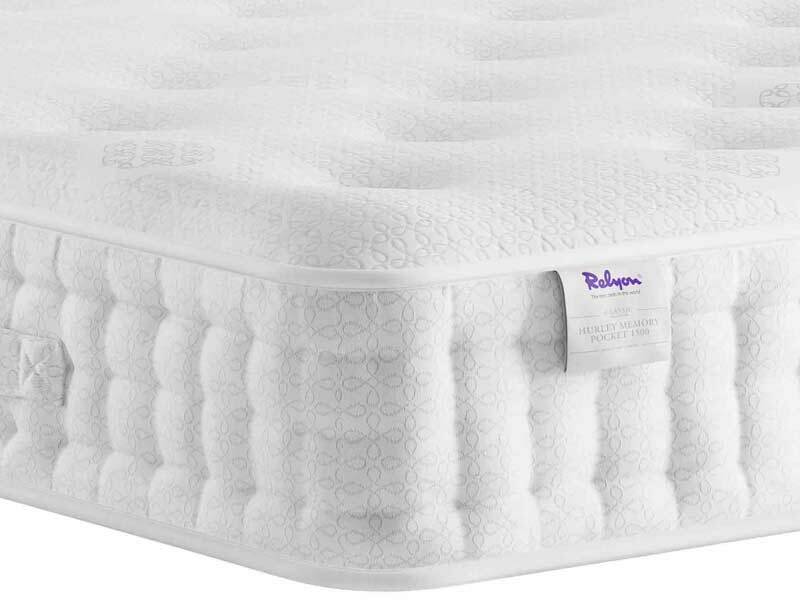 The mattress also benefits from firmer springs along the sides of the mattress to give more support and a wider sleeping surface. The mattress is traditionally hand tufted with grey woollen tufts and benefits from 3 rows of side stitching as well as a new style soft knit stretch cover on the sleeping surface. This mattress and all mattresses from Relyon comes with an 8 year guarantee.